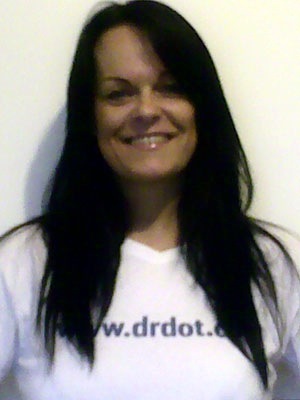 Hi, my name is Sharon, I am Dr. Dot’s massage assistant based in Liverpool and Manchester. I ‘m currently self employed, experienced in Swedish, Deep Tissue, Trigger Point Therapy, Manual Lymphatic Drainage, Hot & Cold Stone Therapy and Myofascial Release Technique , in which I am dedicated in giving clients amazing massages. Nothing compares to the feeling I get when I’m performing massage, and getting positive results. Massage and music are my greatest passions in life, therefore I am so excited to be part of Dr. Dot’s team as I think she is a genius in everything she has achieved and I feel so proud to be part of her name. Whenever you are in Liverpool, Preston or Manchester and in need of a massage contact Dr. Dot, I’m available 24/7.